National savings is going to announce the full list result of Rs. 7500 and 25000 Prize Bond list on Thrusday 01 February 2018 at Peshawar and Quetta city. Both are very famous for prize bond draws in Pakistan. This is 73rd lucky draw of prize bond 7500 and 24th number lucky draw balloting of Rs 25000 prize bond draw. You can catch the complete list at official website of national savings of Pakistan or from our website webstudy.pk. you can also check online prize bond 7500 draw list result Peshawar on 01-02-18 which will be checked online on news tv channel kohe noor tv also because kohe noor tv also broadcasts live the balloting of all the lucky draws in Pakistan. First prize amount of 7500 rupees prize bond is 15000000, Prize bond list 7500 01,02,18 second prize amount is 5000000 for three lucky winners and 1696 third lucky winners will get amount of Rs. 93000 each. Prize bond rs 7500 is very awesome because it is not as worthy so every person loves to try this one to have some amount in hand. National savings also have puslished the prize bond draw schedule 2018 that you can check online so that you can know about next prize bond balloting. 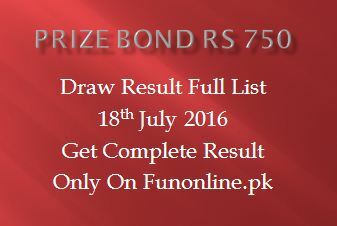 7500 prize bond list draw result complete list can be downloaded from here by clicking the below link. Rs. 7500 prize bond list Peshawar 01.02.18 february will be available on www.savings.gov.pk that is official website of national savings where you can check online latest news about prize bond draw and Pakistan economy. You can also get some updates from live news tv kohe noor live streaming that also broadcast the prize bond draw lists.